Chiropractic is Safe, Relaxing, and Effective. However, most people are apprehensive about their first chiropractic experience because they do not know what to expect. Here’s what you need to know. Your first chiropractic session begins with a discussion of your chief complaints, which are typically the reason you are coming into Moyer Total Wellness. This is your opportunity to let your Doctor of Chiropractic know the reasons you are interested in receiving chiropractic care. Providing as much information as you can about your symptoms, past and present illness, injury, trauma, medications, and overall health will help your doctor best assess your health in order to formulate the right treatment program for you. The comprehensive health history review usually consists of a discussion of your past and present health conditions, including trauma, and any previous diagnoses. A more focused intake of your current symptoms will also take place. Additionally, your chiropractor will ask what measures you currently take to keep yourself healthy. Did you let your Doctor of Chiropractic know of any pre-existing health conditions, specifically any past or present physical trauma? Did you let your Doctor of Chiropractic know if you are allergic to any medications, topical ointments, lotions, or essential oils? After the review of your health history and current symptoms, your Doctor of Chiropractic will begin the comprehensive physical in order to determine the cause of your symptoms. They physical exam is tailored to each client’s needs, but typically includes orthopedic tests, range of motion, muscle strength, reflexes, functional movement screenings, and palpation. Depending on the location and nature of your symptoms, your chiropractor may have you change into a medical gown and/or shorts (you can bring your own or some will be provided to you in the office). The physical exam typically involves palpation (touching) of the affected area. Instances of acute trauma or severe pain may warrant further diagnostic tests like X-rays or MRI’s (offsite). Once the health history review and exam are completed, the treatment will begin. The core of the treatment is the chiropractic adjustment. An “Adjustment” is a medical procedure that involves moving a bone within the body, most commonly one or more of the vertebrae. Moving bones often results in joint “cavitation” or a popping sound. This is tension and gas bubbles being released from a joint and is very common. Most patients feel relief immediately following an adjustment. Additionally, your chiropractor may use various muscle techniques, such as stretching, cupping, or myofascial release to help relieve pain and to promote healing. At Moyer Total Wellness, we also use physiotherapy modalities such as ultrasound, electrical stimulation, heat, and ice. During the treatment, your doctor will check in with you to see if everything regarding the treatment is to your satisfaction. Please communicate with your chiropractor at any time if there is anything that you would like to change. Your chiropractic treatment should not be painful, but sometimes it might be uncomfortable as they stretch or release certain muscle groups. As body workers, we can only feel tension, we cannot feel pain, so it is important to communicate with your doctor during your session. Note: Our initial consultation is scheduled for 60 minutes, but it does not always take that long. We schedule our first appointments with plenty of time to understand your symptoms, perform a thorough examination, and to give you the most appropriate treatment. Your doctor will give you advice on what to do next. Generally, this includes hydration, ice, rest, stretches or other exercises. Chiropractic care is much like other forms of therapy or exercise, the more committed you are to your plan, the more likely you are to reach your desired results. Drink water. Hydration will help to prevent soreness and eliminate toxins. Stretch. Joints are often pulled out of position by tight muscles. Rest. It is normal to feel very relaxed after your first chiropractic adjustment. Clients often state that they got their best night’s sleep in a long time. Reschedule. 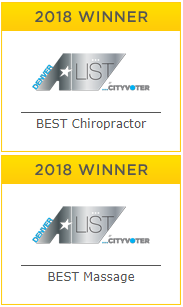 We are a very busy wellness center and scheduling while you are still here is the best way to ensure you get the right treatment at the right time.